With spring finally here and summer fast approaching, road trip season is upon us. Right alongside blasting music with the windows down and singing loudly with a car full of friends, the stops to eat along the way can be the highlight of any truly good road trip. 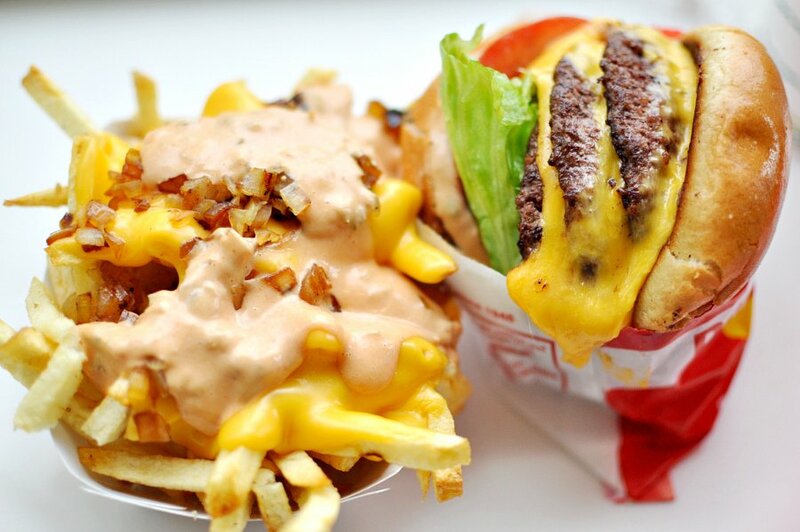 When is there a better excuse to soberly eat massive amounts of unhealthy foods? Although driving across the country can be a daunting task, at least there is a host of different and equally delicious regional eats to make a road trip truly memorable and tasty. For the times you’re not feeling a burger in California, however, go for Mexican. Once you’ve tried Californian Mexican food, there’s no going back to any other states’ renditions. 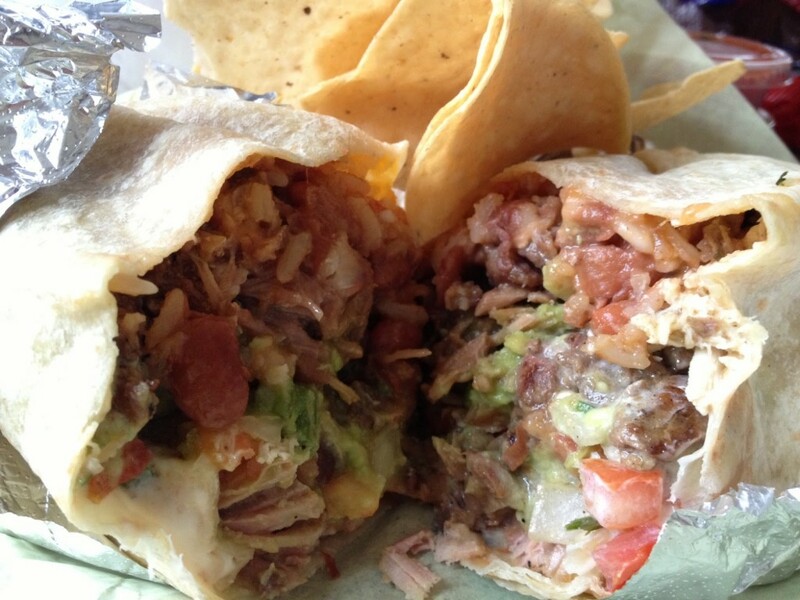 If you find yourself in the San Francisco Bay Area, stop by one of the six Gordo Taqueria hole-in-the-wall locations in San Francisco, Berkeley or Albany for one of the best quesadillas or burritos (hint: get the carnitas) of your life. Opt to stuff the quesadilla with carnitas, sour cream and guacamole and watch as they griddle the envelope of cheese to excellently greasy perfection. Chicago food is synonymous with one word. Okay, maybe two. Deep-dish. 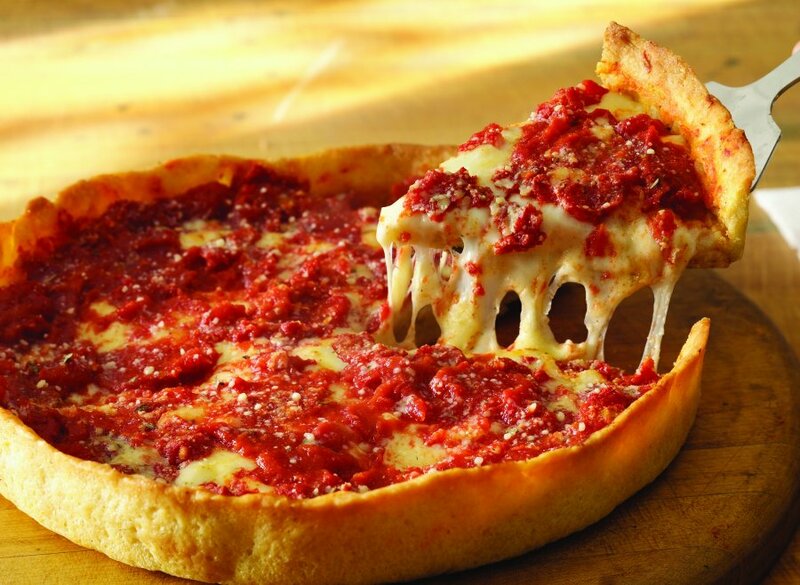 If you want the best, it’s commonly acknowledged that Lou Malnati’s is the place to go. Three words: flaky, butter crust. Do it and spend the extra 75 cents for 75 times the magic that the special crust brings. Lou Malnati’s is known for using a special sausage blend and tomato sauce recipe since its opening in 1943. And for 71 years, Chicago natives have turned up their noses at the other options that seem to pale in comparison. If you have spent any extended time in North Carolina and have yet to try Cook-Out, I deem your experience a failure. Perhaps the best deal on the planet (and one that’s open until 3:30am, at that), Cook-Out is a college student’s dream. Known for its burgers “cooked outdoors style,” Cook-Out also offers an array of classic cookout options, like hot dogs, chopped pork barbecue, chicken strips and grilled chicken sandwiches. 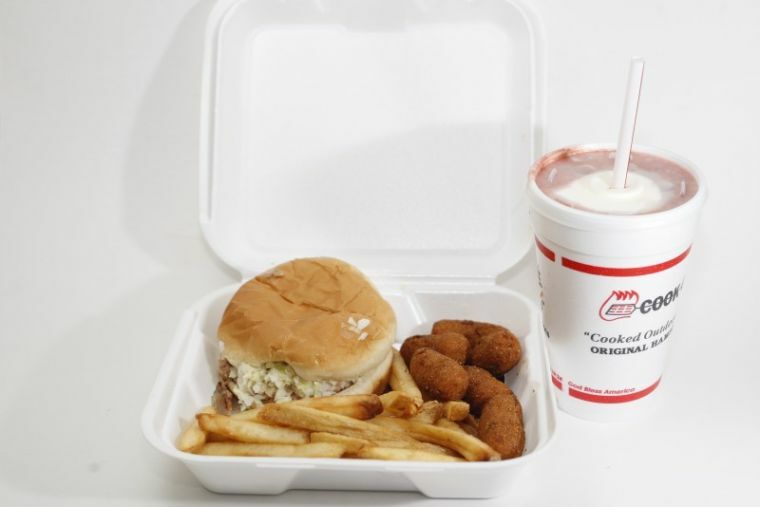 But two things make Cook-Out a standout: the milkshakes and the trays. The menu boasts over 40 flavors of fancy milkshakes, of which you can combine any number to create your perfect creamy confection. I am a loyal Mocha-Oreo fan myself, but whatever your milkshake tastes and dreams are, Cook-Out is sure to deliver. Finally, the Cook-Out tray is the best deal I’ve yet to find. For only $3.99 you can choose a main, two sides and a large drink. Your sides can even include chicken nuggets and a corn dog. Sides? Those are mains in themselves. And for only 99 cents extra, you can upgrade your drink to a milkshake. My own cheeseburger, Cajun fries, hushpuppies, and a mocha Oreo milkshake tray might be the most valuable $4.98 I’ve ever spent. We all know of the perpetual war between Pat’s and Geno’s Philly cheese steaks that forever clouds our perception of the other tastes Philadelphia has to offer—one of which is a sandwich that rises way above the Philly cheese steak in both concept and taste. DiNic’s is a butcher and sandwich shop that holds what Man v. Food’s Adam Richman has crowned the Best Sandwich in America. 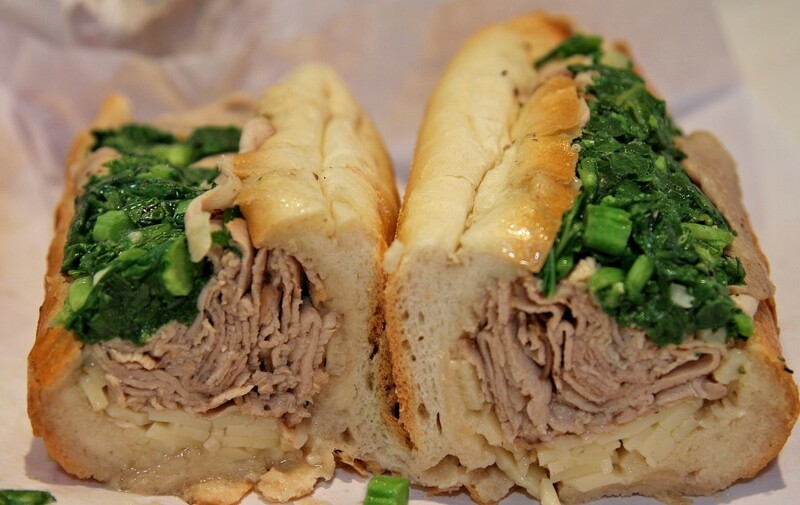 DiNic’s tops a roll with thinly sliced roast pork, broccoli rabe, sharp provolone cheese and a just a splash of gravy to create a perfectly-paired bite. Furthermore, DiNic’s is located in Philadelphia’s Reading Terminal Market, an indoor market that houses hundreds of vendors who sell everything from ice cream to ethnic foods to crafts, making it a must-stop when passing through Philadelphia. 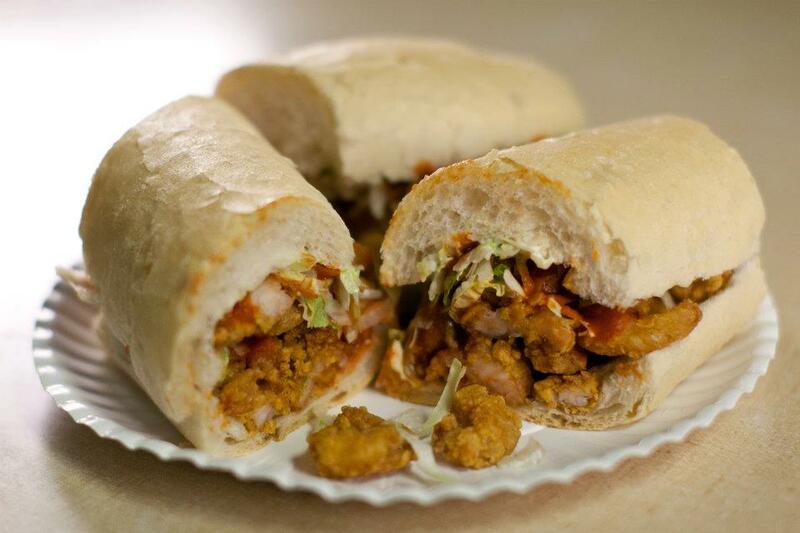 Is a trip to New Orleans really complete without a po’boy? That’s a no. A New Orleans institution since 1924, the nondescript po’boy joint Domilise’s should not be missed. It would be a crime to not take advantage of the Gulf seafood New Orleans offers in abundance, and there’s no better way to do so than on a truly good shrimp po’boy, complete with fresh Gulf shrimp fried up in a secret batter, crusty New Orleans French bread and a couple dashes of hot sauce. 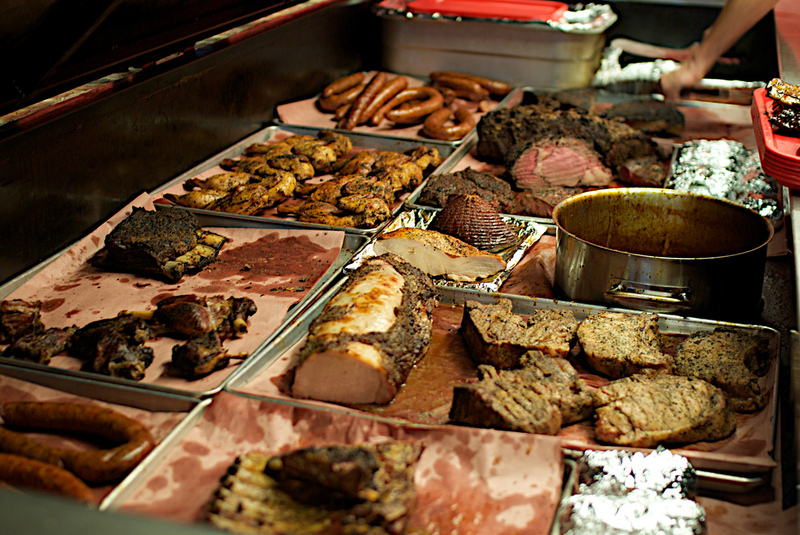 The barbecue debate forever rages on—the choices between regional variations, sauced or unsauced and types of meat used are hotly contested, but the truly best barbecue I have ever eaten can be found at Cooper’s Barbecue in Llano, Texas, located between Austin and San Antonio. Believe me, even if it’s not exactly on your route, it’s worth a detour. Offering any number of meats, which can include anything from sausage to ribs to tri-tip to even a goat meat called cabrito, it’s the brisket that truly shines, as it should at any respectable Texas barbecue joint. 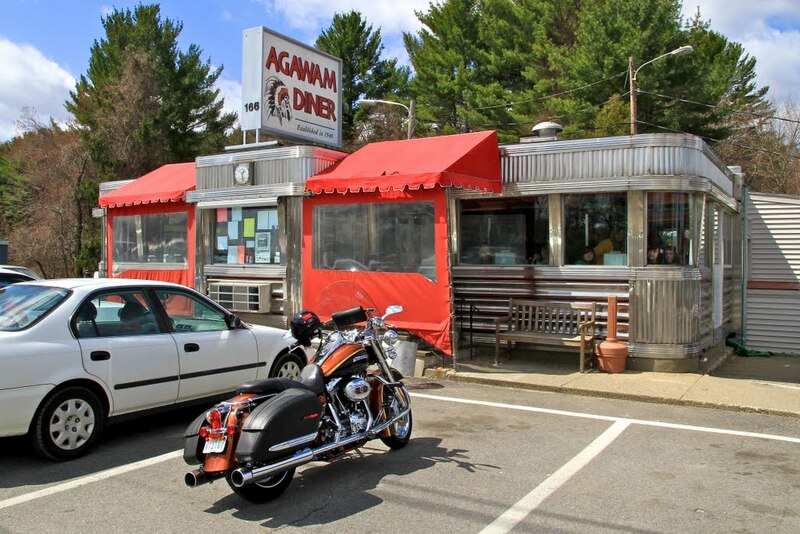 Located just 28 miles north of Boston along the I-95 and Route 1, is the Agawam Diner, which Saveur considers one of the best diners in the US. Although Massachusetts is not known for its diners, Agawam is a standout for its 70 years of fabulous classic diner food. The pancakes, chicken pot pie, griddled burger and chicken-fried steak are all known to please, but it’s the pies are truly outstanding. The coconut cream pie is the menu’s star, but the pumpkin cream pie is a seasonal favorite, as well. Now a tourist attraction for most visitors to Portland, Voodoo Doughnut perfectly captures Portland’s eccentric spirit. 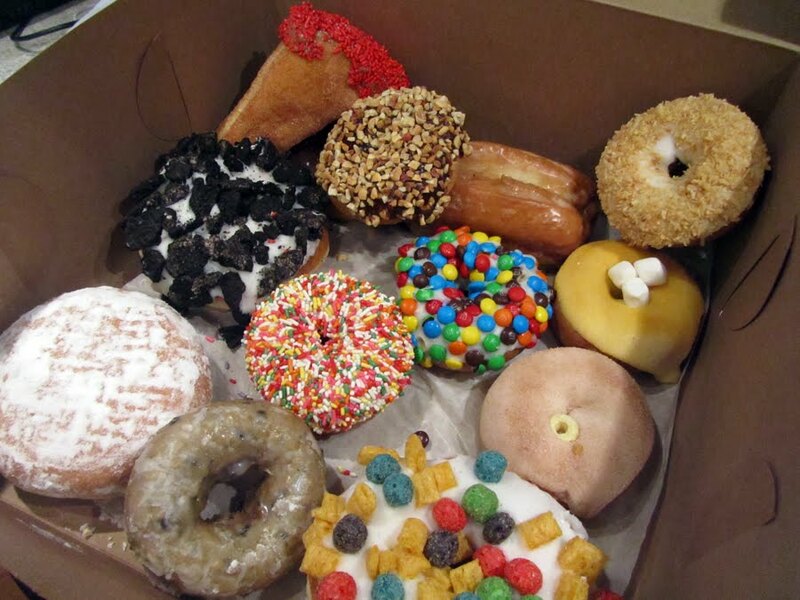 The shop’s namesake doughnut is shaped like a voodoo doll and is filled with red jelly, but it also offers a host of other original concoctions, like the Captain my Captain doughnut with topped with Cap’n Crunch cereal and vanilla frosting and the Maple Blazer Blunt, which is rolled into the shape of a blunt with the tip dipped into maple frosting and red sprinkles. These examples just scratch the surface of the numerous original and cleverly-named pastries. Opened in 1925, Frank Pepe’s has often been lauded as among the country’s best slices. Cooked in a brick oven Neapolitan style, Frank Pepe’s crust is thin and crispy, but still has chewiness in every bite. But Frank Pepe’s fame comes from its ultimate departure from classic Neapolitan pizza—it is the inventor of the white clam pizza. The perfect crust is littered with fresh clams, olive oil, oregano, garlic and just a bit of cheese. 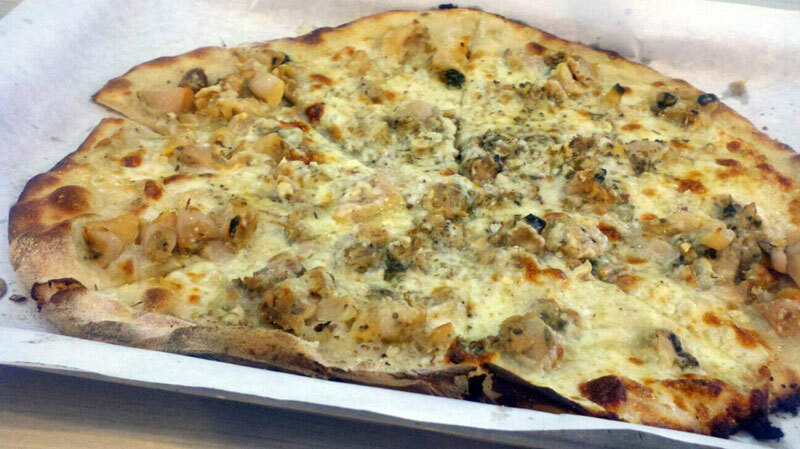 Frank Pepe’s legendary white clam pizza is a road food institution.